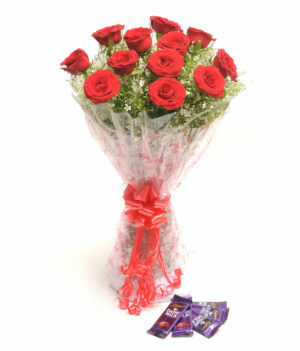 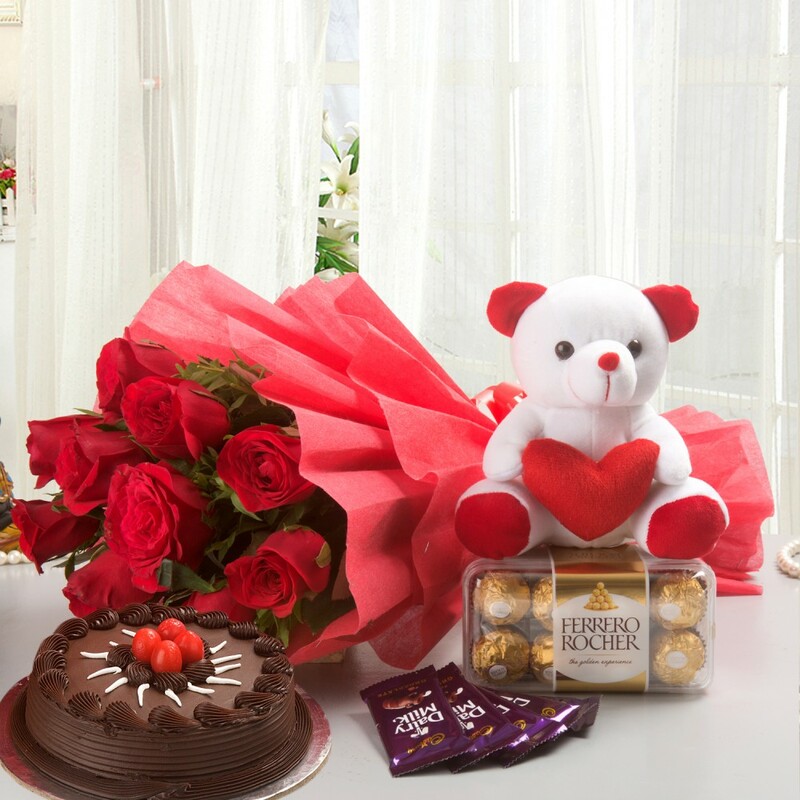 12 Red Roses, Chocolate Truffle Cake 500gms, Teddy Bear 6 inches, Ferrero Rocher 16 pcs 5 Cadbury Dairy Milk Chocolate 13gms. 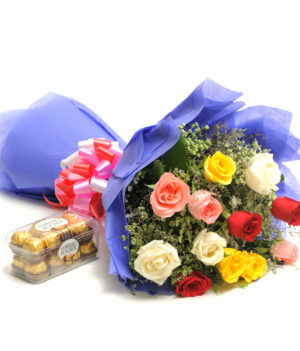 Sweetness and cuteness sounds a deadly combination! 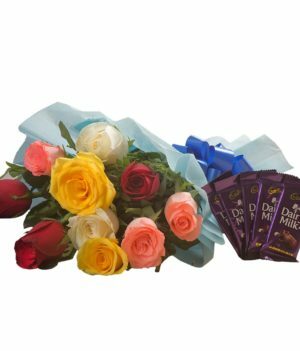 Gift such a combination to your closed ones in the form of this combo that contains red roses, chocolate truffle cake, a teddy bear, and Ferrero Rocher chocolates. 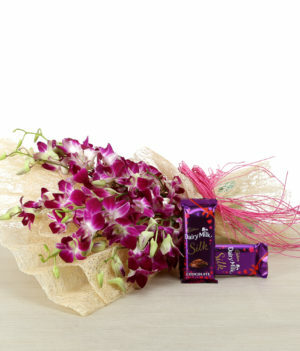 This is exclusively prepared by wishbygift.com to make your moments more special and memorable. 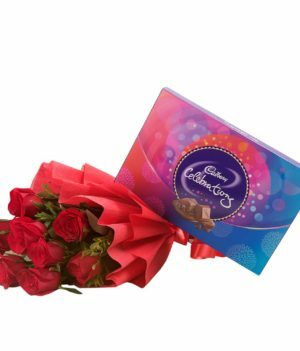 This combo would be a delightful gift for your loved ones to start the mood for celebration on this festive season.